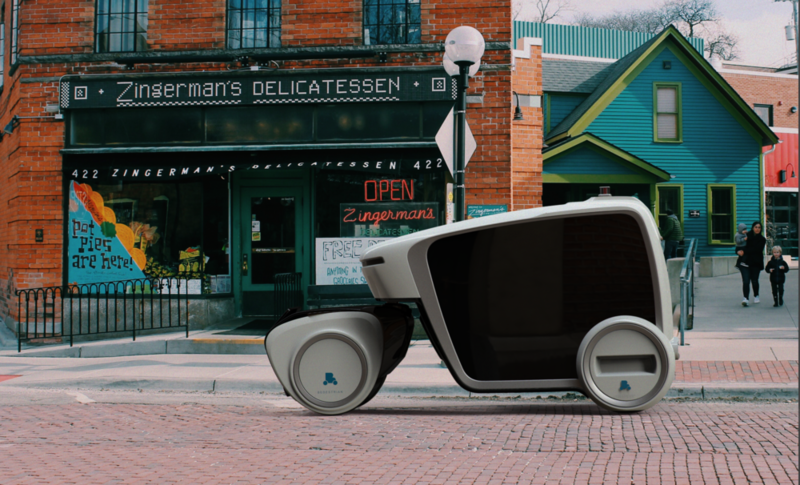 B1 is the lead autonomous vehicle and includes storage capacity. B2 is a trailer with a large modular storage unit. They work together to distribute what is needed, from prescriptions drugs to food to dry cleaning.